I am so happy I found your blog!!! We love to garden, and its something we really miss, living in Oslo…. we do live in a small apartment, so have to find a way to be creative!! I would love to see and read what you are doing during the winter? What are your suggestions for apartment gardens here in Oslo? Hi Shane, lovely to hear from you. Thank you for visiting my blog! I’d say the biggest challenge isn’t so much space but rather growing over winter. I’ve found that the winter light is not really sufficient for indoor growing and I’d recommend investing in a growing lamp if you want to pursue this seriously. 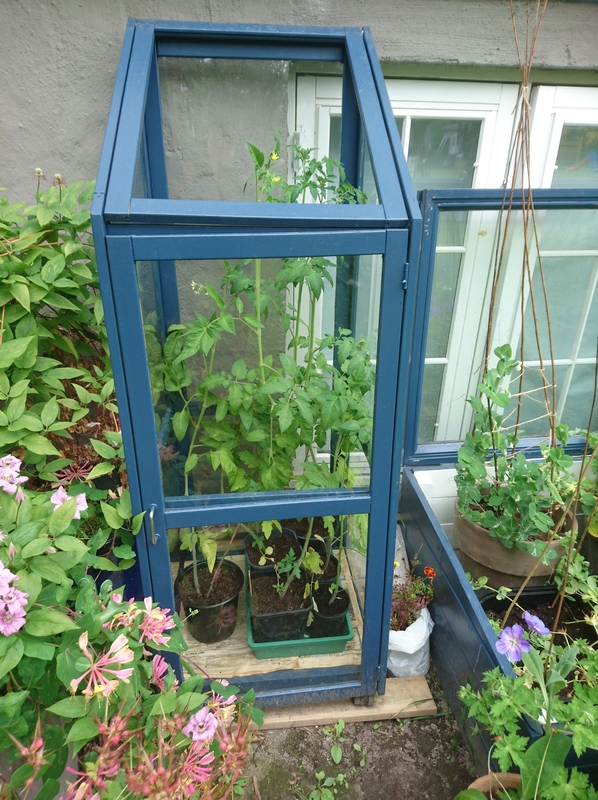 I’ve successfully sown vegetables and flowers from seeds indoors (from around mid February onwards) but the light has come from a south-west facing direction and even then the seedlings have been spindlier than those grown, say in a greenhouse. Growing indoors would enable you to grow more warmer-climate veg such as chillis or citrus and you could do this all year around potentially though I have no personal experience of that. Radishes, salad leaves and micro greens are also a good option to start off with. Fast growing, more shade tolerant (also cool tolerant) and with lots of varieties they are ideal for small spaces. Herbs are also a good option. You could even try carrots! Good air circulation (so having low air humidity) is one to watch. If you have a balcony, then there’s loads more scope to grow a huge variety of vegetables and plants in containers. Sow some seeds around mid Feb/March indoors and then transfer them outside, or sow directly outside once there’s no risk of frost. In my blog I’ve tried a lot of different things so take a look at how I’ve gone about it for more info. With flowers, if you want to grow them from year to year, then you can find some horticultural fleece (fibreduk) from Clas ohlsen, to cover the pots up during the winter season as a precaution. Check out my links page for online plant sellers to see what’s on offer. Growing from seed is a good way to experiment without a heavy outlay. See how it goes and let me know! One final thing, if you want to flex those growing muscles outdoors come the spring and summer I know of a friendly bunch from the local Oikos group that meets weekly during the growing season at Geitmyra skolehage near Sagene. Check out Oikos on my Links page and make contact with Kjell Erik.